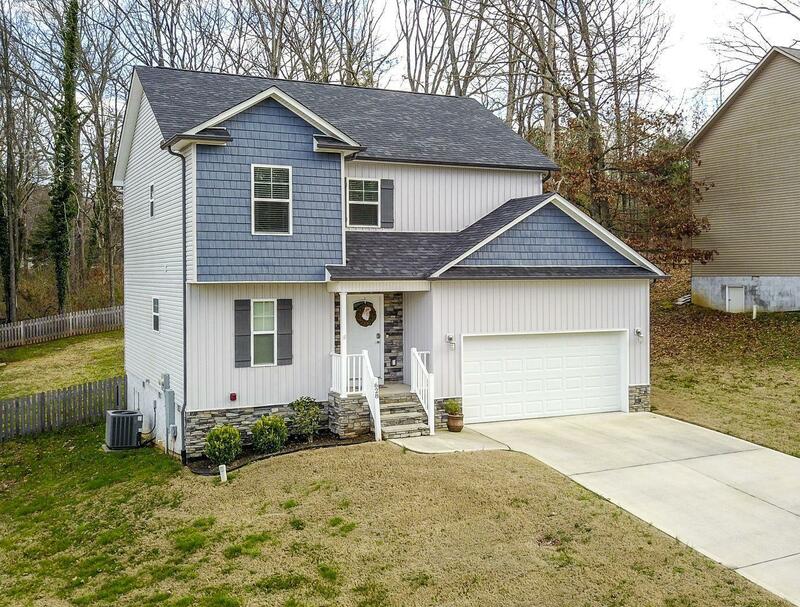 Beautiful 2 story home located on quiet dead end street with easy access to Knoxville and Maryville! Spacious living area with hand scraped hardwood floors and fresh paint throughout. Open kitchen and has loads of cabinet and countertop space, stainless appliances, pantry, and recessed lighting. Oversized master suite connects to bathroom with dual vanities and HUGE walk-in closet! Back deck is great for entertaining and overlooks fenced yard with very nice storage shed. No neighbors behind home. NO money down required to purchase this home!